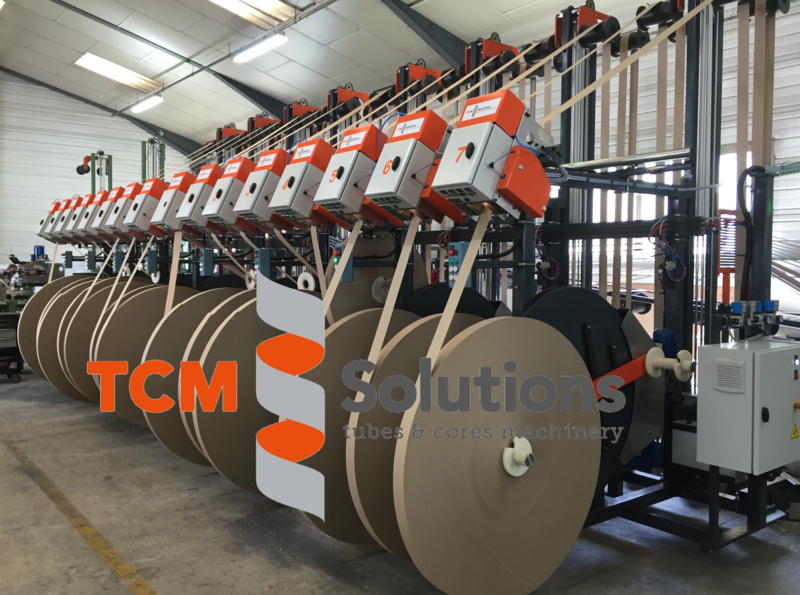 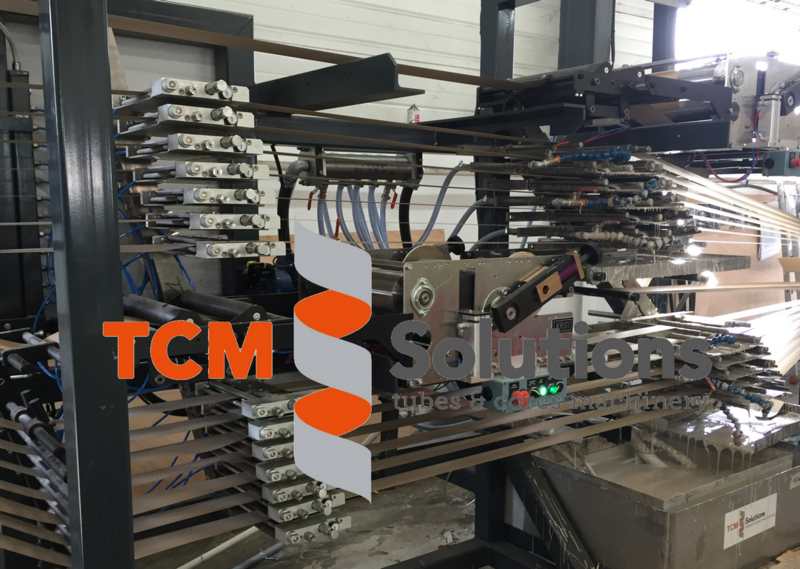 Creel (unwinder) up to 20 plies with pneumatic accumulator and automatic splicing unit (automatic splicers). 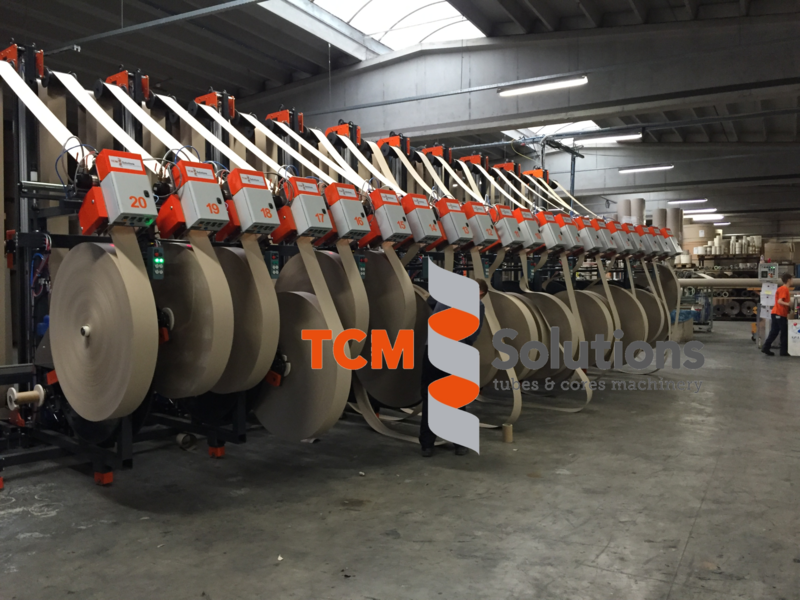 The lifting and the rotation of the reels is done with electric motors which can, as an option, have an automatic indexing. 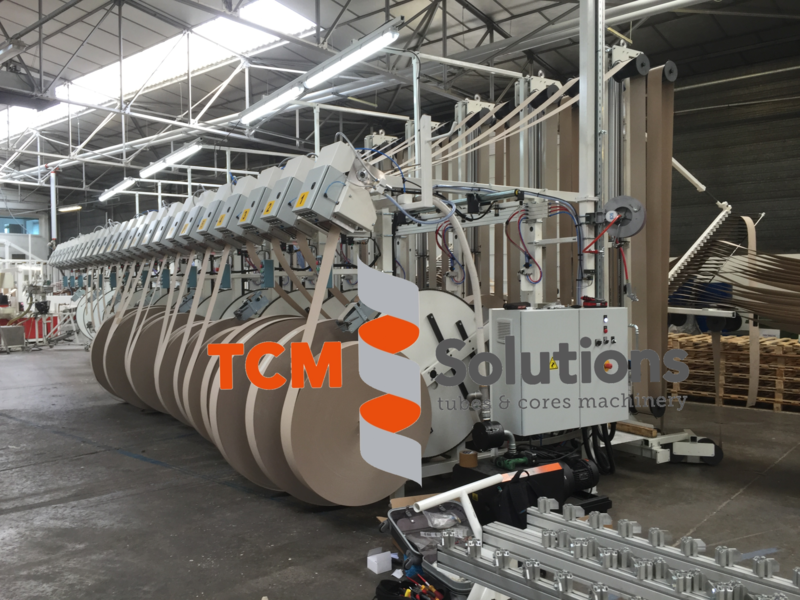 Cascade gluing unit and gluing of the cover ply with precision roller gluing system. 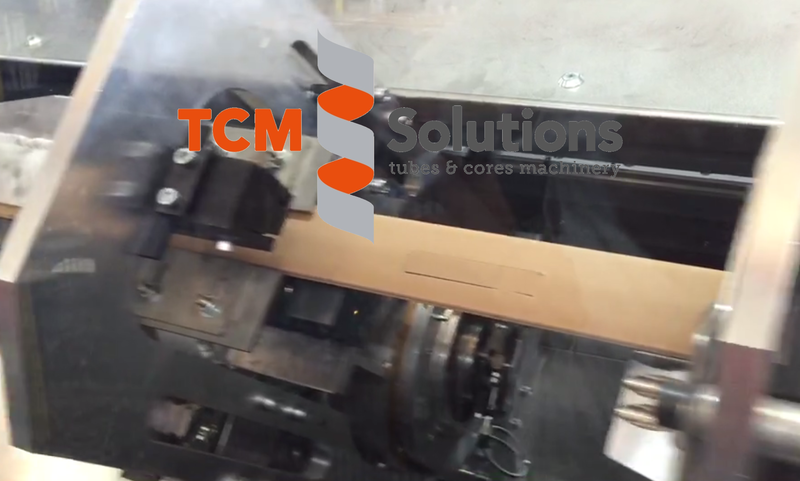 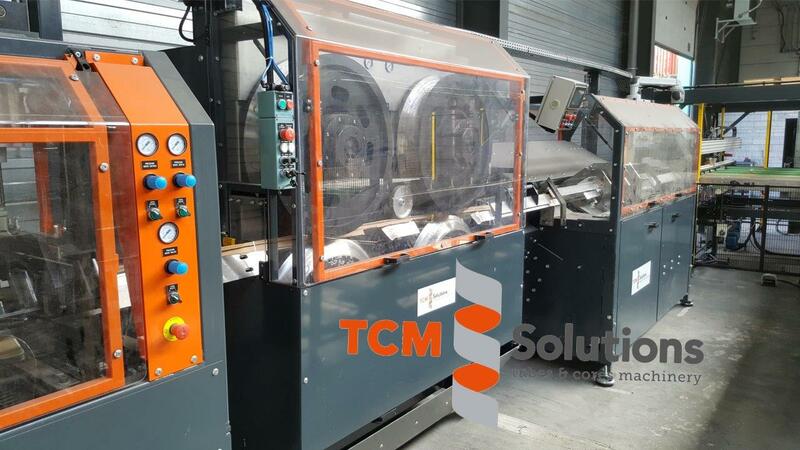 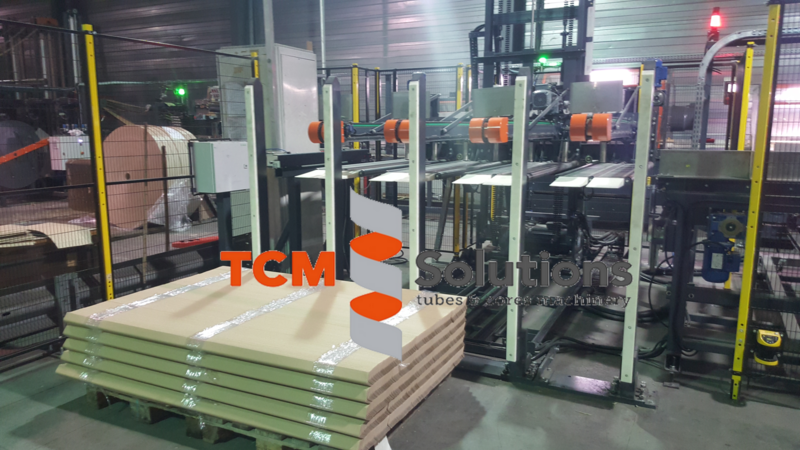 Label covering, pre-forming, profiling, pulling, cutting and packaging for the production of angle boards (profiles/ edge protectors) from 25mm x 25mm(1″x1″) up to 100mm x 100mm (4″ x 4″) with standard equipments.